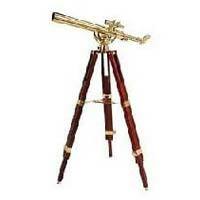 We have cemented our positions as a recognized Exporter and Supplier of Brass Telescope in Uttarakhand, India. 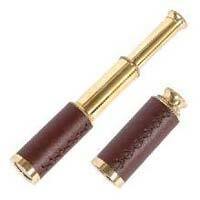 The Brass Telescope that we deal in is made using graded and quality tested brass at our vendors’ end. It is demanded so much because of the excellent optics of our Telescope that helps in real astronomical viewing. You can obtain it from us at the most discounted prices.